"Sure, you've seen this guy in action in earlier videos... but it's still nice to get a look at this monster up close. We're still blown away by the fact that this is a Windows Mobile 6.5 device -- the skinning job that HTC has done here is nothing short of a miracle." 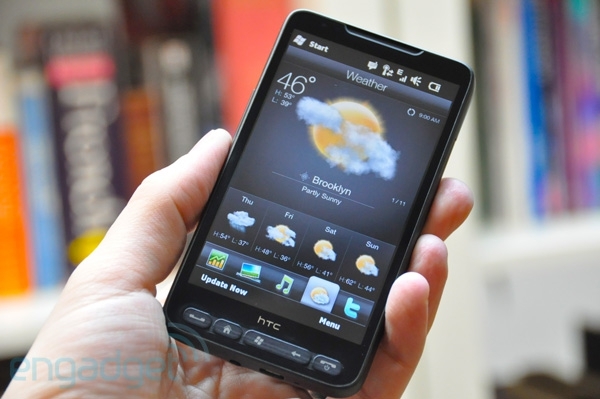 HTC's Sense-equipped HD2 is one gorgeous Windows Mobile 6.5 device, and Engadget has the eye candy to back it up. Scoot over there and check it out. Anyone planning on picking one up?